Plancentric was founded based on the realization that there is a significant need in the marketplace to deliver an integrated approach to comprehensive financial planning and investment management. Many successful business owners, executives, and professionals have not taken the time to develop a customized financial plan to address tax inefficiencies, inadequate asset allocation, or a sustainable retirement distribution strategy. At Plancentric, we have assembled a highly credentialed team which embraces our core values of trust, integrity, accountability, collaboration and passion of doing the right thing for our clients. 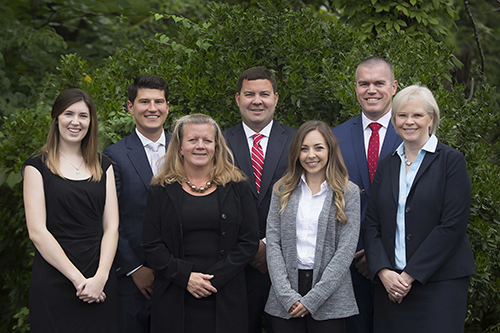 Our team understands that everyone's situation and goals are unique, and it is our responsibility as your guide to listen, educate, and create a thoughtful and customized financial plan to help you realize those goals. We're confident we will positively impact our clients, their families, their businesses and their communities. Let me and the Plancentric team help you ensure your financial future is all you want it to be. Let Ryan and his team help you ensure your financial future is all you want it to be.